At the bottom of this post is a map of where we have stayed (all the green stars are places visited and all the yellow ones are all the others which are on our bucket list). This particular odyssey introduced us to many new properties, reefs, sights and people which we have shared over the past fortnight. But it has also inspired a number of general reflections and observations about the Maldives destination overall. I don’t understand these people who cry out that the Maldives is not affordable any more. Yes, a big number of billionaire playground 5+ star super luxury properties have arrived…but you don’t have to stay at them. This particular trip discovered a number of value priced gems I would gladly recommend – Rihiveli, Summer Island, Medhufushi, Cinnamon Hakuraa Huraa, Olhuveli. This is not always the case. Sometimes we stay at a lower end resort and can’t really wait to get off of it. On a related note, I don’t understand why more people don’t visit here in July. It is the destination’s “low season” with often the lowest rates. We almost always come at this time of year because rates are the lowest. Also, because the resorts are less fully occupied, the staff have more time to assist us with our research and gathering of material for the website. In some destinations, the “low season” is determined by the time with the worst weather, but that it not the case with July in the Maldives. The weather is always superb. As noted above, we got less than an hour of rain across the entire two week visit. If there is one word that describes the July environment, it is…”clouds”. Not just clouds dotting or sometimes spread out across the sky, but also a bit cloudier water for the snorkelling and diving. The plankton tends be a bit more in bloom and the sand stirred up more by the regular breezes. But these clouds definitely have their silver linings. More plankton means more mantas around. The cumulus clusters provide a bit of relief from the tropical sun and contribute to the pleasant ocean breezes. Not to mention much more affordable prices. People bemoan the Internet. Many come to a place like the Maldives just to escape the ubiquity of the steady digital drip. It seems at times a bit incongruous to see people staring down out their phones when they could be staring at a lovely seascape. But technology used in moderation can have huge benefits to a trip. This trip, it allowed Lori to be in touch with her family about her sister who got taken to the hospital for emergency surgery, it allowed us to look up troubleshooting for figuring out how to sort a problem with our new Suunto D4 dive computer, and of course, it allowed us to share highlights in videos and pictures with hundreds of friends and family around the world. There was a time when we first started coming in the late 90s when Internet didn’t even exist out here (it was relatively new in the UK and USA for that matter). Then a few Internet kiosks arrived around the turn of the millennium. Then a few wireless hotspots in the reception and bar (which is where a good chunk of resorts still are). Mostly the 5-stars have invested in full room wifi. But the thing is that even at the fanciest resorts, the Internet connectivity is a bit of a challenge. 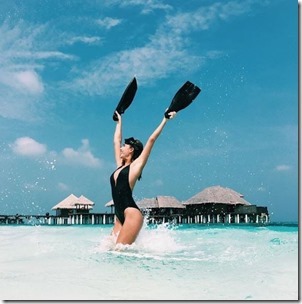 The rich media of photos and video that we are accustomed to in the broadband world is not quite there yet in the Maldives. Flying through the Middle East, which most of the main Europe-to-Maldives carriers do (eg. Turkish Airline, Emirates, Qatar), meant we were stung by the laptop ban in plane cabins for flights from these countries into the UK (and the USA). We were fortunate enough to be aware and read the notices, but dozens of our fellow passengers on TK730 didn’t. It meant that in addition to the incredible aggravation at our Istanbul connection (they started boarding the flight 2 hours before scheduled take-off and still were late) and no computer games or work or high-def films during the flight, those folks had a further delay on the other end queuing up for the airline’s jerry-rigged checking system. Last year, we were nearly heartbroken over the state of the reefs due to generally rising ocean temperatures, the added shock of El Nino and then the final blow of the COTS outbreak. This year, the state of the reefs was less dismaying. Maybe it was our expectations being reset (they still have much less variety, quantity and colourful coral), but the reefs didn’t seem quite as bad. We were maybe taking the glass-half-full perspective. Instead of disappointment of broad stretches of dead coral, we took immense delight over all of the fresh, new coral croppings emerging. We are hopeful. I remember visiting W Retreat by in 2000. It has a reputation as a top house reef, but on the heels of the 1998 El Nino it seemed like a giant coral graveyard when we explored it. And yet, it came back strongly in the subsequent years to regain its health and beauty. We are hopeful that the reefs around the Maldives will do the same this year. One truly encouraging sign was the complete absence of COTS in all our dives and snorkels. Last year, the resorts had mostly gotten only top of the COTS issue, but we were still struck by how many of the starfish we still came upon. This year, not a single COTS was spotted in two weeks. If COTS and bleaching wasn’t enough of a blemish on the seascape of this paradise, I became aware a new potential issue for the warming shallow seas of the Maldives – sea grass. Over two decades, we had rarely happened upon the stuff. Nearly all of the lagoons we explored were boundless expanses of underwater white sand deserts. Now increasingly, we were coming upon jungles of undulating seagrass. The key factor driving the sea grass growth is warming sea temperatures. It thrives in the warmer water. Resort staff we spoke to confirmed that it is becoming a growing concern. Beach Beauty – A locale who markets itself for its brilliant white coral sand beaches loses a bit of its cachet when it is littered with piles of black sea weed. Lagoon Beauty – The very defining distinction of the Maldives is the tapestry of light blues of the shallow lagoons over that coral white sand. The blooms of sea grass, however, appear as big, dark grey splotches on that vista. Lagoon Comfort – People want to sink their toes into soft sand, not slimy sea vegetation like you would find in some stagnant pond. Furthermore, the sea grass covers over bits of dead coral which hard and sharp if you step on them. 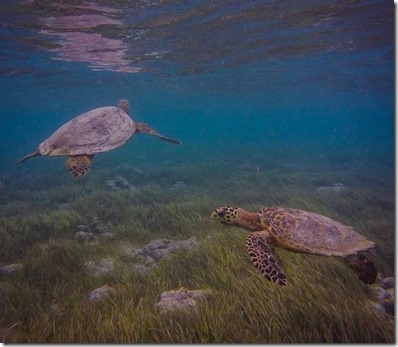 Normally, you can avoid them by watching where you are walking in the shallow, but the sea grass masks them. Lagoon Swimming – The sea grass doesn’t just stick to the sea floor, but detaches constantly as the dead leaves float to the top of the water. So you end up swimming not in crystal clear waters, but amidst floating detritus that clings to your skins like a leafy leach. It might have been the luck of the draw. After having hardly ever seen it in our history, we did see a fair amount sea grass at one of the resorts we stayed at last year. It quite surprised us as we just assumed that the dark patches in the water were going to be interesting coral croppings, but instead they were endless fields of boring sea grass. But we saw it in major extents at nearly half the resorts we visited covering three different atolls. I think that the Maldives needs to get on top of this situation with some marine biology and environmental research. It causes lots of aesthetic problems for resorts and considerable costs in managing its effects (one resort once had a team of 30 staff working full time to collect the dead grass washed up). It could be as much of a problem for the infamous turquoise lagoons as El Nino and COTS has been for the reefs. 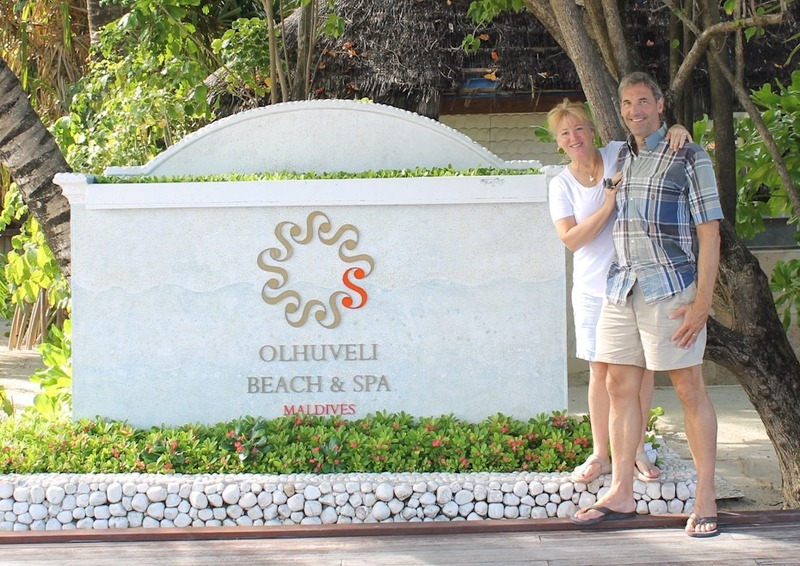 Olhuveli has it all (almost a phonetic palindrome). A have your cake and it eat too property. A small quaint island with extensive facilities. An accessible ‘steep drop-off’ house reef steep as well as a vast lagoon and low tide sand banks. Extensive buffet restaurant and a la carte dining options. The biggest win-win is the quality and choice at the affordable price. Typically, if you have a budget constraint, then you have to identify few things to do without or a few areas to downgrade a bit. Olhuveli is another 4-star resort really underselling itself with the range and quality of features and service on offer. My reaction was curious. 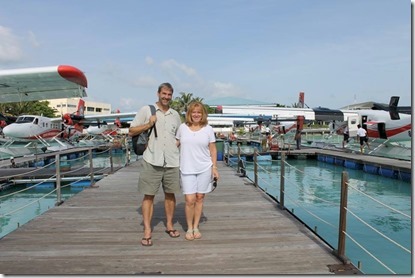 I am always on the hunt for “Best of the Maldives” distinctions on these research tours, and frankly, I didn’t come across that many things that I hadn’t seen elsewhere in the Maldives. It might not have had the quirkiest curry recipe or the most bizarre water sport, but it didn’t seem to lack for anything. Including, very importantly, affordability. Don’t take my word for it. Take the word of the 200+ guests there when we stayed. Olhuveli was at 100% capacity in late July. We normally go to the Maldives in July because it is the “low season”. It means that we can get the most affordable rates, but also the resort staff have more time to help me with my research for Maldives Complete. Mind you, there is really nothing ‘wrong’ with the end of July (more on this in my next post). It’s just that it’s not popular for a lot of markets. Most of the big European markets (eg. France, Germany, Nordic) tend to take August off as holiday. The British don’t take many tropical holidays in mid-summer as its one of the rare times when weather at home is pretty agreeable. The timing doesn’t have any particular appeal to the Chinese market. And Eid is over and done with for the Middle East market. 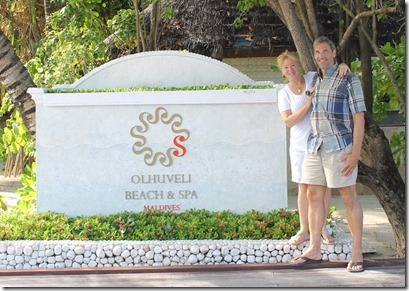 Some of the Maldives resorts are as low as 20% occupancy this time of year and most are around 50%. 80% is the max I’ve tended to see. So to be filled to the brim is a real testimonial. And with 100+ rooms, it’s a sizeable number of testimonials. It’s actually a bit difficult writing about Olhuveli at the moment because they are just completing a major investment programme in the resort. I got a sneak peek at some of the new villas and facilities. They look superb. Stylish bright beach villas with protected infinity pools gazing out to the ocean. And an entire second island next door being developed with higher end offerings (and joined by a jetty bridge). Don’t worry about the work disrupting your peace and quiet as most of the heavy lifting is done and throughout the work, the resort has blocked off selling any rooms anywhere near work being done. So watch this space. Cinnamon Hakuraa Huraa sits like a whimsically mystical village in the middle of an equally quizzical seascape. The resort has one of the most distinctive “skylines” in the Maldives with its orb-topped tented roofs on villas and jetty. The structures sit like alabaster Bedouin tents nestled in a sandy oasis of dryness in a boundless desert of turquoise sea. When the tide goes out this dot of land swells to nearly double in size as submerged sea beds emerge into beach for a few hours. The long, slow gradient is reminiscent of a Maldivian Mont Saint-Michel (but no need to worry about being trapped by rushing incoming tide as tidal forces are much more modest near the Equator). The reason the resort has the longest arrival jetty in the Maldives is because it has to go out that far before you hit water deep enough for a boat to get to. This distinctively shallow lagoon imparts another quirky aspect to the property…if you want to go explore the marine life, instead of snorkeling you can go for a little stroll. While the main event for sea-life aficionados in the Maldives is the house reef drop-off, I’ve often thought about having a “lagoon rating” (to parallel the “House Reef Rating” on the website) because a number of resort lagoons have their own distinction. In Hakuraa Huraa’s case, their east-side (water villa) lagoon holds quite an extensive array of small coral croppings. The area can have some tricky currents at high tide (signs warn people not to swim), but at low tide it is a giant tidal pool that you can simply wade through. The lagoon has lots of shards of broken coral so you will need to wear some foot protection. That said, you will also need to be very careful not to step on any live coral (ie. looking for the white sandy patches). We were quite encouraged by the extent of little pink corals popping up all over the place. During our little ramble, we were treated to the most bizarre “Snorkel Spotter” outing ever. Yes, all over the Maldives you will see fish and creatures like puppy sharks and stingrays scurrying in the shallows as you walk along the shoreline or above on a jetty. But this excursion was something a bit more. The coral croppings gave the seascape dimension. And the creatures we saw were more than you would see from these typical vistas – a turtle sleeping, a moray hunting, a baby lion fish hiding. 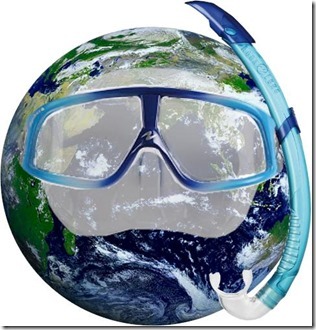 We weren’t staring down at them from afar, but like a good snorkel, were right there in their world along side them. Cinnamon has boosted this spirit of water-world whimsy with a veneer of sparkling white and accents of bright colour. 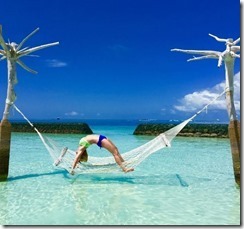 An extensive range of activities (probably the most extensive beach activity offering in the Maldives, including built-in Beach Cricket and Beach Rugby cross bars), and delicacies (including snacks offered during the day and special dining nooks) make the resort experience as enchanting as it looks. 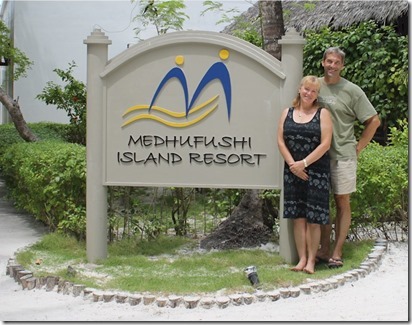 The Medhufushi resort itself is yet another unsung gem. I’m not sure what people are thinking about when they say no one can afford to visit the Maldives any more. Yes, a number of luxury marques have splashed out on billionaire playgrounds, but you don’t have to stay there. 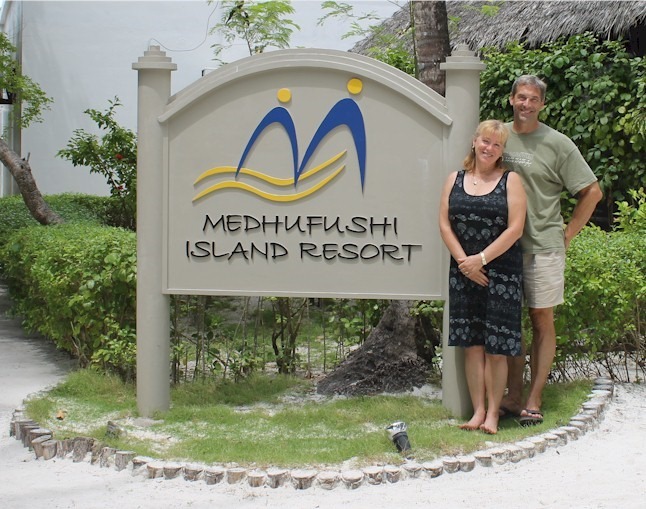 Especially where there are resorts like Medhufushi that provide all the magic of the Maldives at incredibly reasonable prices. Medhufushi isn’t perfect, but with its 4-star rating, it doesn’t profess to be. It is one of the older resorts and there is a bit of cosmetic wear-and-tear, like some frayed thatch and faded paint, in places. But, when it was brand spanking new, it was a 5-star and priced as such. Classic thatched rooves and other touches provide that exotic aesthetic. Villas have big and tall windows so you still enjoy the outdoor scenery when you retreat to the AC of your room. And the 4-poster bed provides a bit of added charm. 5-Star quality food on the buffet. Seriously, stands shoulder to shoulder with any 5-star resort. And the sand floor adds more classic Maldive charm. Romantic infinity pool facing the sunset. Overwater bar, overwater spa and overwater a la carte restaurant. 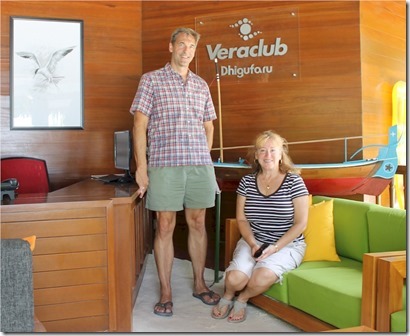 Werner Lau dive centre (Werner Lau was a Maldives diving pioneer and his centres are world class). Stocked water sports centre (with the management planning on investing even more in this area). Top flight surfing. I thought I had identified all the surf resort in the Maldives so this one surprised me. The resort itself doesn’t offer surfing directly, but there is a major surf spot and centre right next door that guests are able to use and many keen surfers come to Medhufushi regularly just for this attraction. 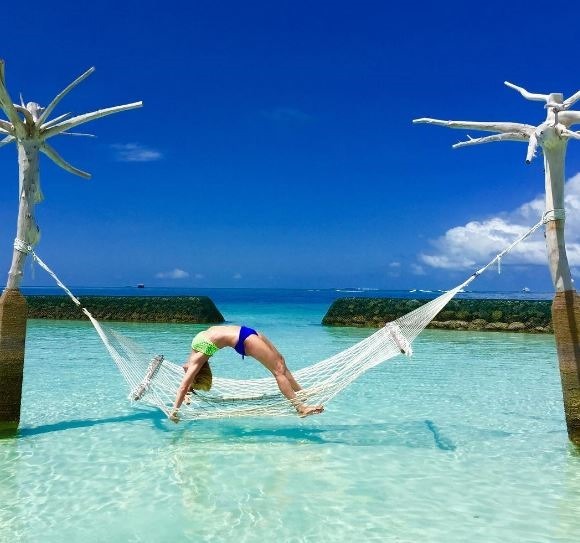 House Reef – As always, you can take snorkel excursions to great spots, but the expansive shallow lagoon is not the best for the snorkelling fanatic who wants to snorkel constantly on easily accessible drop-offs every day of his visit. Internet – A true 5-star would have strong wifi throughout the resort, including the rooms, for free. At Medhufushi, you buy coupons ($15 for 12 hours of aggregated access with download limits) and they only work in the bar and reception. Newness – The resort is of an older vintage. They have actually done a fine job in keeping most of the villas fresh, but you can’t help noticing the bits of fraying and fading in parts. 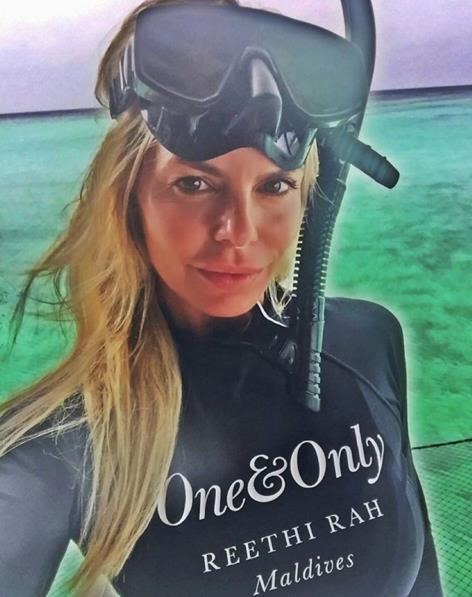 If snorkelling and the Internet are not preoccupations for you and not everything has to be sparkling new and groomed, then Medhufushi is a brilliant opportunity to tick the Maldives off your bucket-list of dream vacations with property that is still 5-star in so many ways, but at an affordable 4-star price. Maldives is like nowhere else on Earth, and Meemu atoll is unlike any place in the Maldives (well at least judging from the 14 of the 18 major atolls I have visited). 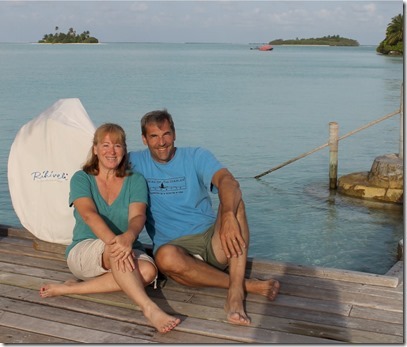 Meemu atoll was a bit of a mystery to me. With only two resorts, Medhufushi (which has been less prominent in the European market) and Hakuraa Huraa (which itself was closed for refurb a while back), not much was written about it. We hadn’t really thought much of the differences between the atolls until our visit to Addu (aka Seenu) last year. It had a very different look, being much smaller, so its islands that are peppered along the circumference embrace you with a wrap-around vista on the interior. Meemu is the opposite of Addu’s intimate cuddle as Meemu stretches with a diameter so wide you can’t see the other side. Meemu is also the opposite of island laden atolls like Kaafu and Ari sprinkled with green dots of inner atoll islands in the middle. It is pretty much devoid of islands on the interior. The combination of this topology and only 2 resorts in the whole atoll gives Meemu an unmatched sense of remoteness. Just you in the middle of the Indian Ocean, with a few islands to sustain you and keep you company. But don’t worry about being precariously isolated. Just a few minutes north is one of the bigger islands in the Maldives and capital of Meemu – Muli. It has a hospital that puts you closer to advanced medical treatment than most resorts and a range of other amenities. I’ve never seen such a mill pond calm expanse of open ocean (see video above). The inner atoll is like glass. Not just at dawn, but in the middle of the day. The expansive shallow (10 metres) on the east side of the atoll with the clear water of the calm sea imparts a robin’s egg blue for miles as well as a glassy veneer. Not only the seascape, but the soundscape (around its two resorts) stand out. All of the out edge parts of the atolls are characterised by a constant flow of rolling waves at the vast Indian Ocean swells are tamed by the Maldives outer reefs which keep the atoll insides calm. At some resorts, this constant white noise creates a soothing soundtrack for the island (eg. Four Seasons Kuda Huraa, Canareef) with the island situated close enough to the edge of the reef and the topology of the reef producing a more dramatic wave crashes. 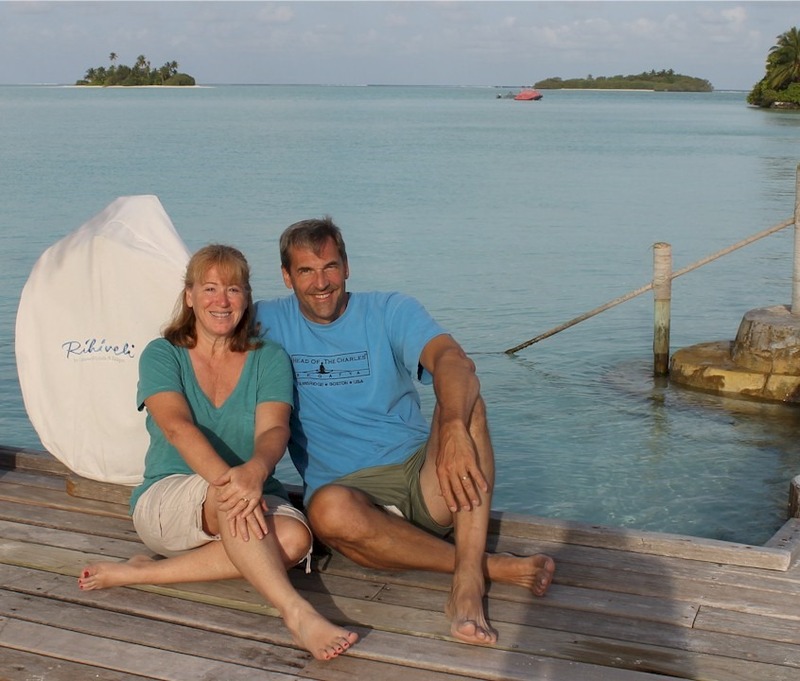 Proximity – The reef is so close that, during low tide, when the depth of the water behind the water villas was ankle deep, Lori and I strolled right out to the reefs edge for an up close look of these ferocious 2 meter waves being tames by the massive reef. Now we are at Olhuveli with the east edge of the South Male in distance from out water villa, but it is at least twice and far and you hardly hear any wave noise. 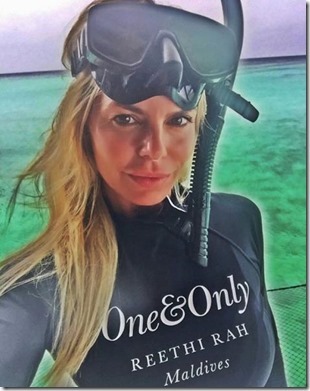 Length – We travelled a few kilometres north to dive the famed Mantas and More site. Then we travelled south to go to Hakuraa Huraa. Finally, we took off in our sea plane transfer. On all occasions, all we could see for as long as the horizon stretched was a fluffy white band of surf. Continuity – And that was the other curious aspect. The waves seemed to be uncannily continuous. Most other reefs seem to have a much more punctuated set of breakers. Not surprising that we uncovered a little known surf spot off Muli which is a hit with a number of surfers from around the world who come just for that. The potential downside of the atoll is house reef snorkelling. Neither resort has “house reef” that is directly accessible from the beach. 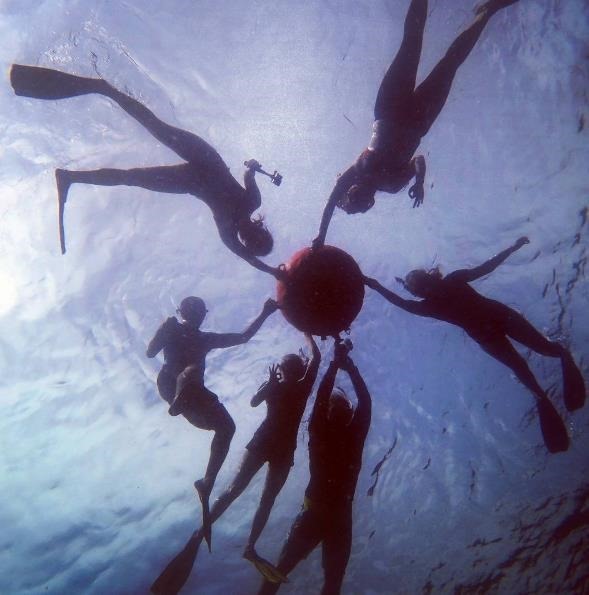 World famous Maldives snorkelling can be a part of your visit with a short boat ride that both resorts offer constantly (to make it as easy as possible). A big part of your decision to go to either of these resorts will be whether the extraordinary qualities of the atoll itself appeal to you. Some aspects are purely subjective (I was sort of partial to the Hakura Huraa look and design, but Lori preferred Medhufushi). 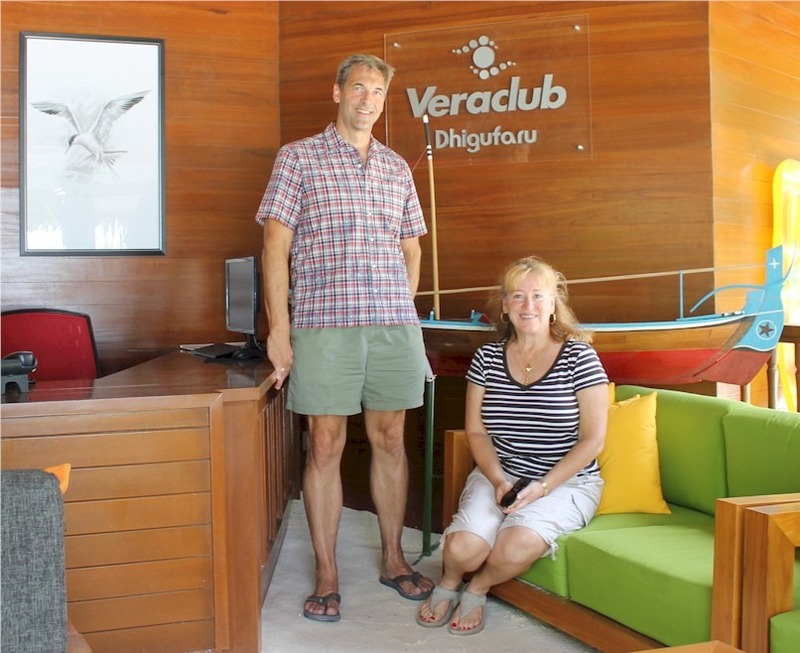 Both have overwater restaurant/bar, fine food, comfortable villas, and attentive service. Medhufushi had more traditional styling, outdoor showers, swimming pool and generally lower prices. 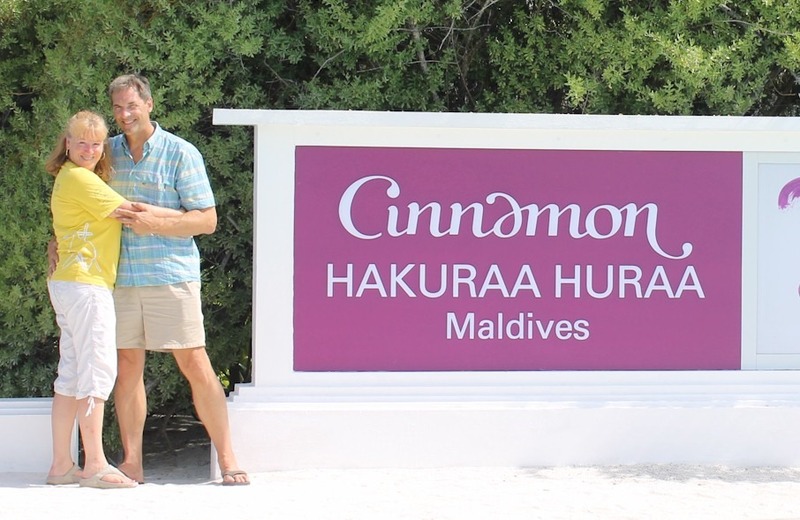 Cinnamon Hakuraa Huraa has more contemporary styling, entertainment, and beach activity. Whichever you choose, you will be treated to not just a distinctive place on the planet, but a distinctive part of the Maldives. 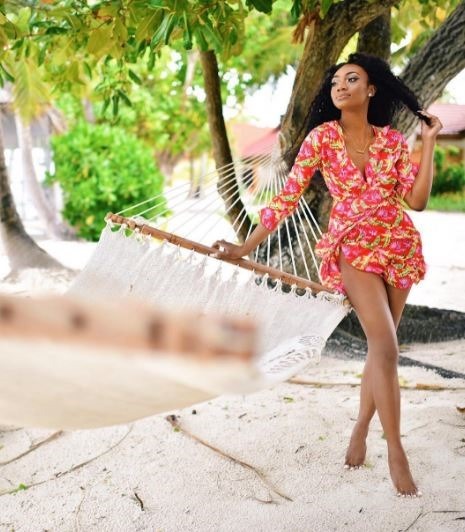 With Hammock Day upon us, Maldives Complete brings you a break from our regularly scheduled Tour programming so a flirty thirty collection of the languid lounging lovelies to lighten up the day…. Dhigufaru might just be the island of my dreams. I often characterise the Maldives this way: “You know that image of a plot of sand with a palm tree on it in the middle of the ocean? That’s the Maldives. A thousand of those.” Admittedly, that stereotype is really an exaggerated caricature of reality (in fact, its most frequent incarnation is cartoon form). But Dhigufaru comes closer to that meme than any other resort. Maybe not just a single palm tree, but actually no more than a dozen or so mature ones counted. I am admittedly partial to petite islands, and Dhigufaru is a diminutive one. Just a few minutes walking gets you from one side to the other. Contrary to popular myth, just because the island is tiny doesn’t mean that there isn’t anything to do. The resort’s activity centre is packed with equipment. They were taking advantage of the July breezes doing kite surfing in the expansive lagoon while we were there. It also has a top flight beach volleyball and beach court (permanent padded nets with fixed boundary markers and lighting). It turns out that Dhigufaru was originally neither an inhabited island nor uninhabited “island”. It was just a lonely, white sand bank in the middle of the ocean. As a result, pretty much all of the vegetation has been planted by the resort. Even some of the wildlife was introduced, as the owner’s parakeets were homed here and live in bird houses scattered around the islands. I would summarise Dhigufaru as Birds, Beaches and Brightness. Birds are the pronounced theme of the property with drawings of various types adorning the rooms and public areas. The very logo of Dhigufaru is the tail feather of a “Dhandifulhudhooni” (ie. “White Tail”) which frequents the island and nests there. Beaches dramatically dominate the island. In fact, one of the Best of the Maldives distinctions that I am investigating is that Dhigufaru might just be the “Beachiest” resort in the Maldives. Brightness of this unique sand pile shines out at you the minute you arrive. The combination of spacious pearly beaches and minimal towering trees to block the sun means the island radiates with a dazzling brilliance. Do you believe in love at first sight? I do. I met and proposed to my wife of 32 years after 3 days. I might just have been smitten with similar speed by Dhigufaru. Maybe my tropical lust was simply piqued by this scantily clad plot of sand with her dazzling alabaster beaches exposed so provocatively.